Each fall I look forward to the reappearance of the Blue-faced Meadhowhawk dragonflies (Sympetrum ambiguum). No matter how many times I see them, I never fail to be amazed at the wonderful combination of bright colors on these little beauties. 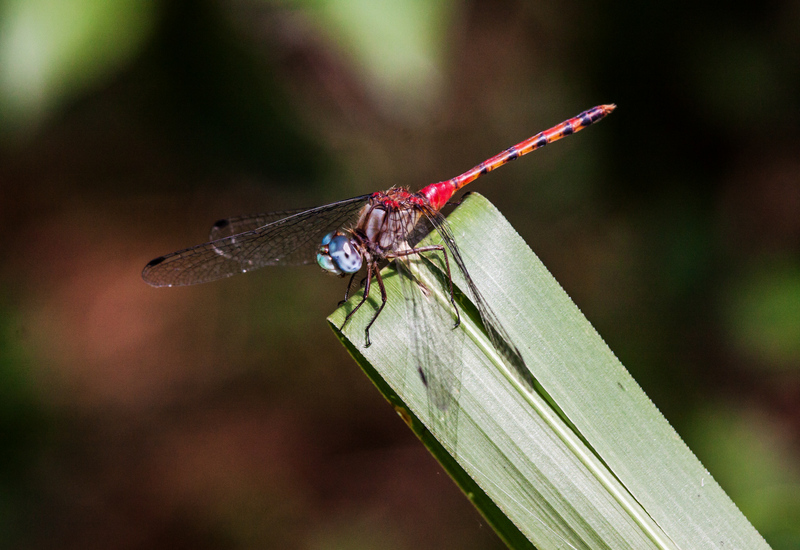 Quite often Blue-faced Meadowhawks perch in the crowded undergrowth, where the background is cluttered. 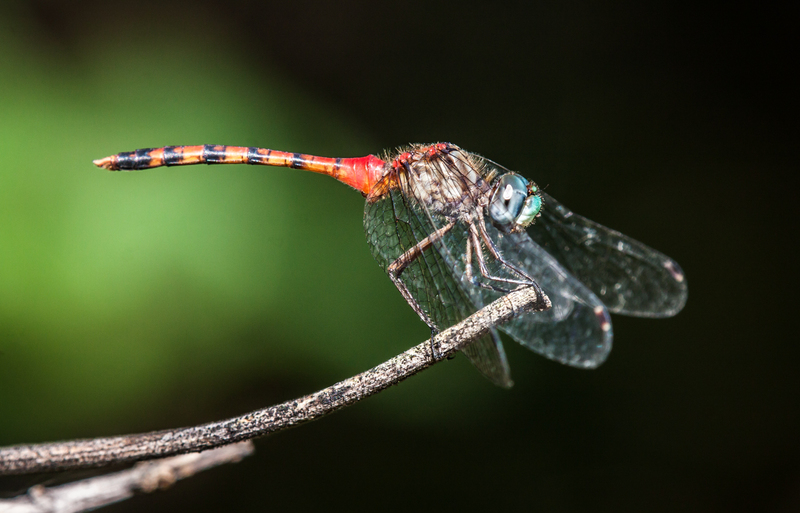 I was quite happy recently to capture a few images in which the dragonfly perched a little higher, which allowed me to isolate it from the background and ensure that the viewer’s attention is focused on the primary subject. That first image in particular is so vibrant, Mike and full of beautiful details. It really glows. Thanks, Chris. The lighting was particularly beautiful when I took that first shot, almost like there was a spotlight shining on the dragonfly.